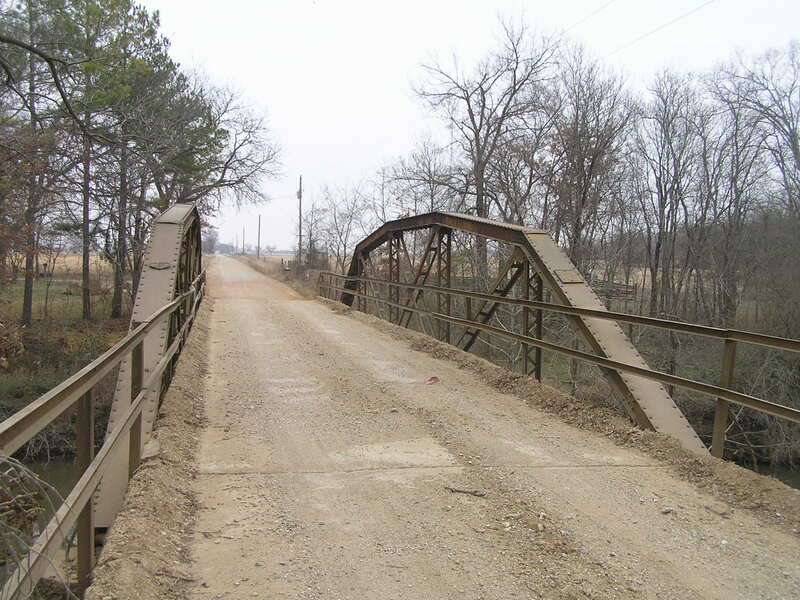 Located within close proximity to a very well known pony truss of similar design, this riveted pony span has stood since 1913. 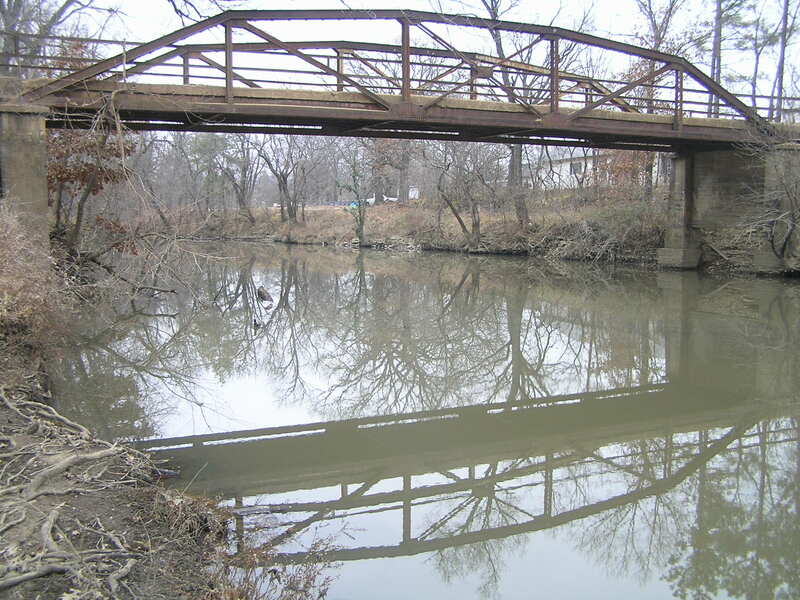 Built by the Illinois Steel Bridge Company with a mainspan of 90 feet, this bridge serves as an early example of a bridge type that would spread like wildfire through Oklahoma. Above, is a view through the span. 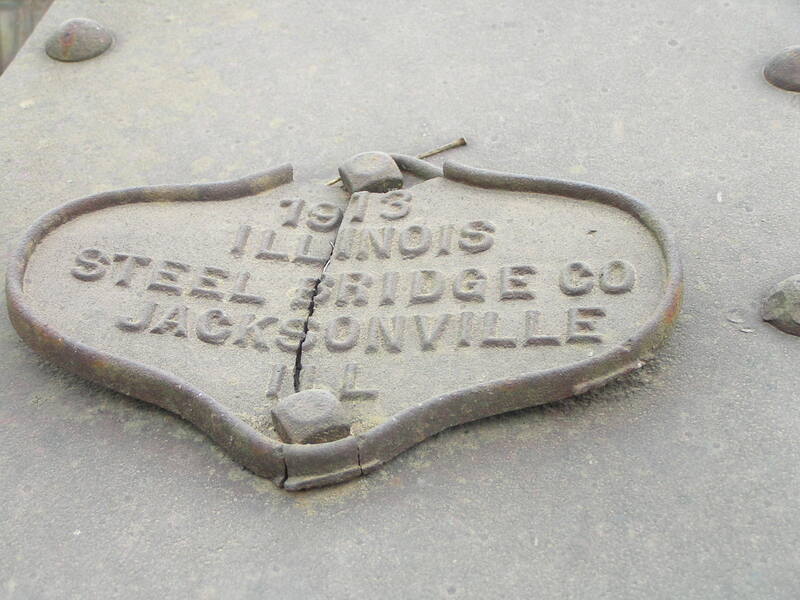 Below, its builder's plate. 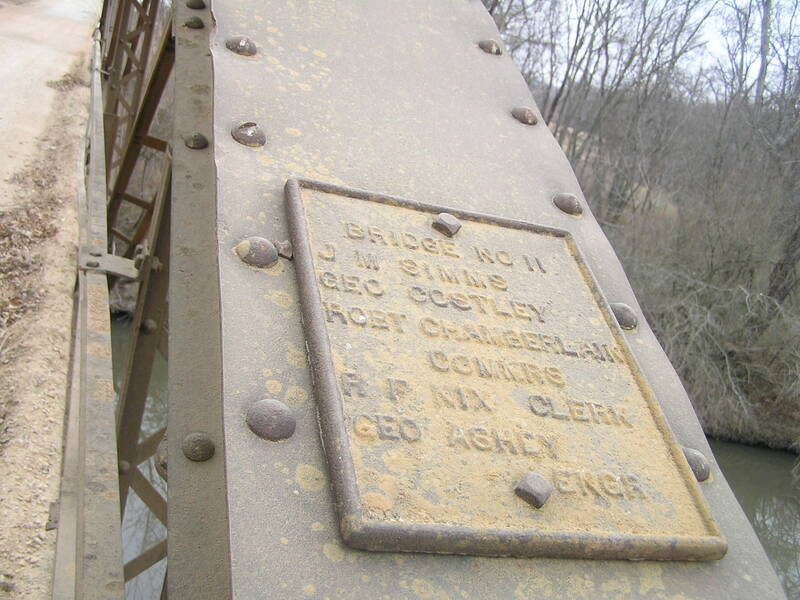 Above, plaque with the names of the people who wanted to be known for their association with this bridge being built. 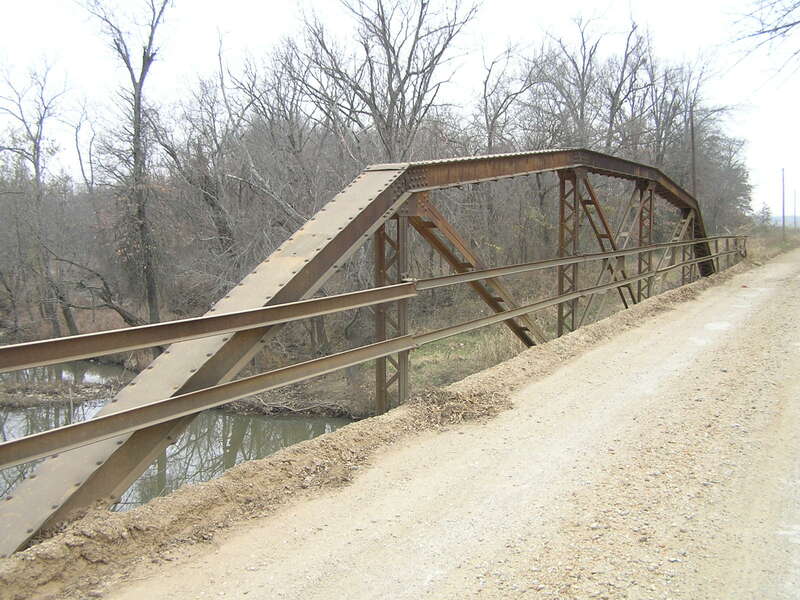 Below, a side view of the truss. 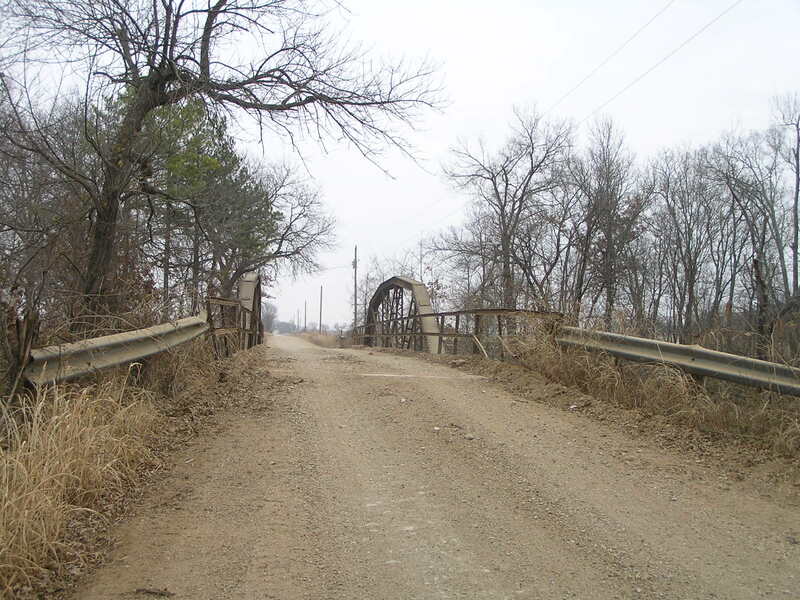 Though this bridge pre-dates the standard design spans that would follow it, it does have all the main characteristics and proportions of those spans. Above, deck view of the truss. Note that all the compression members are laced. Below, a final through view.